Lion: [Strung up by his tail in Evilene's lair] Don't give her the slippers, Dorothy! Evillene: Is this enough for you? No? Well, how about your metal friend over there? Tinman: [a giant piledriver begins to flatten him] Don't worry, Dorothy! I'm just an empty shell! This doesn't hurt me! OK Kids, get ready for a weird one. This film remake of the outstanding 1970s Broadway musical of the same name both shines and clunks on the big screen. Coming off somewhere between "Thank God It's Friday" and "Willy Wonka & the Chocolate Factory" (and in Diana Ross' case, "Sybil"), the film version of The Wiz is not good, not bad -- just plain weird. One of the main problems of the film (everyone's said it before and I'll say it again), is the casting of Ross as Dorothy. 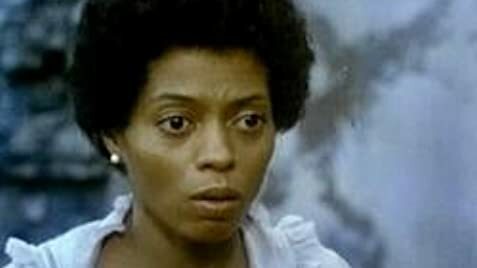 While I found her singing numbers to be wonderful and full of emotion, Diana just plays the role too dark and brooding. She cries so much that she winds up looking like a neurotic mental case on the verge of suicide. (Reviewer Leonard Maltin said she "weeps and whines" her way through this.) And no makeup job in the world could make the mature Ross look like a young, innoncent girl (even though, in the film, she's supposed to be a 24-yr old teacher). Diana is just a depressing, unbelievable Dorothy, despite what a wonderful singer she is. Another problem is the look and feel of the film. For a movie that was rated G and based on the family fare of The Wizard of Oz, it sure wasn't that childlike. An overall depressing tone, low lighting, and freaky costumes and set design drag this film down. It freaked me out when I saw it as a kid, and now seeing it again as an adult, I now understand why. Don't get me wrong, I think the sets are outstanding, but kids movies should not look like a horror flick. There are many positives of this film, however. The excellent score that was perfected in the Broadway run is enhanced by soaring arrangements by Quincy Jones. (A guilty pleasure is the funky disco Emerald City numbers.) Also, every member of the supporting cast is outstanding and well-cast. But overall, the screenplay is just too weird for any adult, much less kid, to enjoy. At 133 minutes, it seems to drag on forever and ever. The Wiz is not a total failure, and everyone involved should have felt proud to be a part. 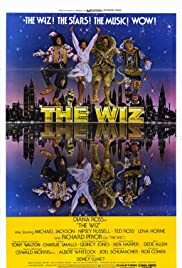 But without the entertaining musical/dance numbers and a few comic-relief moments (delivered by the Scarecrow, Tin Man & Lion), The Wiz would just be a bad memory of Diana Ross' career. Anyone's who's really interested in the magic and promise of The Wiz should hope that the Broadway play is revived in its original glory (as it was sometime in the 1990s).